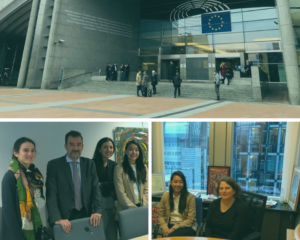 The following article is the sharing of Anna Nguyen, VOICE’s Director of Programs, on the occasion of the trip to advocate the human rights of the Vietnamese delegation in Europe. On the 70th anniversary of the signing of the Universal Declaration of Human Rights (UDHR), I reflect back on my week in Brussels. 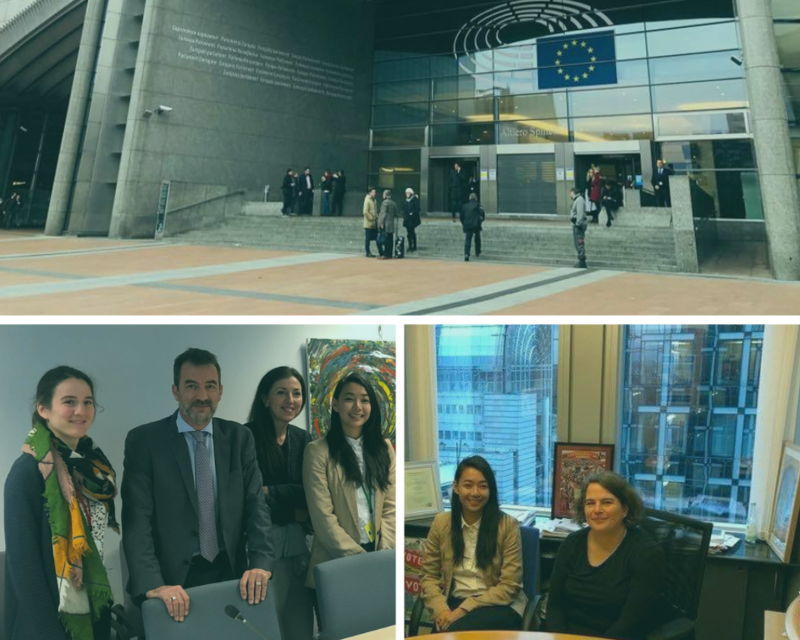 This week was definitely a learning experience for me, after an intense week of back to back meetings with Members of the European Parliament and European Commission, talking about the importance of human rights concessions that need to be made by the Vietnamese government prior to the ratification of the EU-Vietnam Free Trade Agreement (EVFTA) and the leverage the EVFTA can be used to demand for an improved human rights situation in Vietnam. Despite being 70 years since the UDHR was signed, human rights has taken a step back and our presence is still required to advocate for simple improvements in human rights. However, in each of my meetings this week, I was reminded how small of a fish we really are, in this huge ocean of diplomacy, trade deals, and agreements. We can talk for hours about the worsening human rights situation in Vietnam, and the staggering number of human rights defenders that have been sent to prison for their peaceful civil and political rights work (165 according to https://vietnamprisoners.info). We can go on and on about how much the EVFTA is needed by the Vietnamese government, not only because it could potentially boost their GDP, but also in order to be seen as balancing the interests between Conglomerate China and the West. We could continue to stress the power the EU has in pushing for the release of political prisoners and amendment to laws that infringe upon rights such as freedom of expression, and that if the EU wants to be seen seriously, they need to secure, at the very least, these demands before an agreement is signed. Whether our voices actually amounts to real change is the real test. At times, I really wonder whether these meetings actually make a dent in any diplomatic negotiations. Whether the voice of civil society actors can really make an impact on how a country will be in the next 5, 10, or 100 years, and whether our input can shape how human rights and civil society organisations are able to safely and freely operate in a repressive country like Vietnam. After all, my voice is literally and metaphorically so small compared to this big arena of agreements and diplomacy, how much difference would I actually be able to make?! But in the words of Mrs. Roosevelt, ”nothing has been achieved by the person who says, ‘it can’t be done.’” It is important to hope, to fight, even in the light of despair and deterioration. And surely, it is much more intelligent to try, rather than not to try.